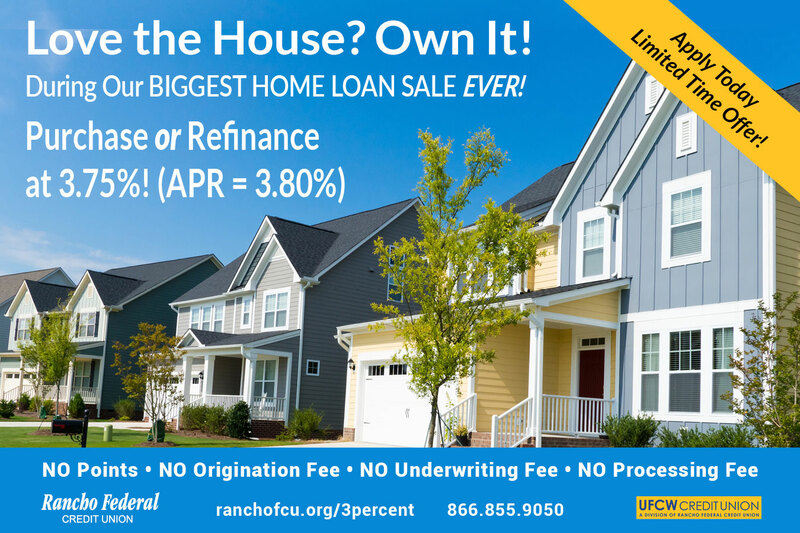 Thank you for your interest in our 3.75% home loan (APR = 3.80%) with no points or Credit Union fees. Please enter your name, phone number, and email and a mortgage specialist will get back to you. *Based on a 30-year fixed rate, $200,000 loan at 3.75% versus 4.00%. Repayment of this $200,000 mortgage will require 360 payments of $926.23. Taxes and required insurance may make this payment obligation higher. Third party fees will apply. Effective APR is 3.80%. Loan approval subject to creditworthiness, ability to pay, and property appraisal. 80% Maximum LTV.Single family homes, condos, and townhouses in LA, Orange, Riverside, San Bernardino and San Diego Counties are eligible. FICO Score of 680 or greater to qualify. Other conditions and restrictions may apply. 3.75% rate is available through June 30, 2019. Patty Fonseca: NMLS# 472950.